Word for Today: Let there be Light! Word for Today:Let there be Light. “And God said, Let there be light: and there was light. 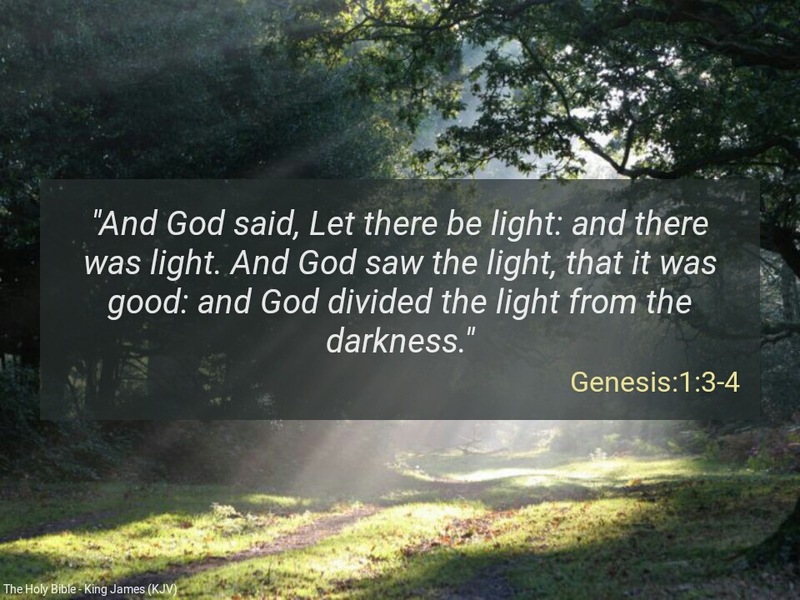 And God saw the light, that it was good: and God divided the light from the darkness”( Genesis 1:3-4). In the beginning God spoke light out of darkness . God knew that darkness is terrible, hence He separated Light from darkness. Unfortunately, many people in the body of Christ find it difficult to separate light from darkness even after they have received the light of the world ( Jesus Christ). Ignorance is darkness. Fear, doubt, unbelief, sickness, poverty, failure etc occur when there is darkness. “For by him were all things created, that are in heaven, and that are in earth, visible and invisible, whether they be thrones, or dominions, or principalities, or powers: all things were created by him, and for him: And he is before all things, and by him all things consist” (Colossians 1:16-17). God spoke light out of darkness. With spiritual understanding you can speak light into every dark situation in your life. Remember, it’s your responsibility to separate light from darkness. Embrace the Word today, enjoy light and be blessed. Dear Father, we pray for everyone sincerely connected to your Word to see light in your word and to separate light from darkness in Jesus mighty name. Amen. Next Next post: Word for Today: Father , make me a TERROR before all my enemies in Jesus Mighty Name. Amen.